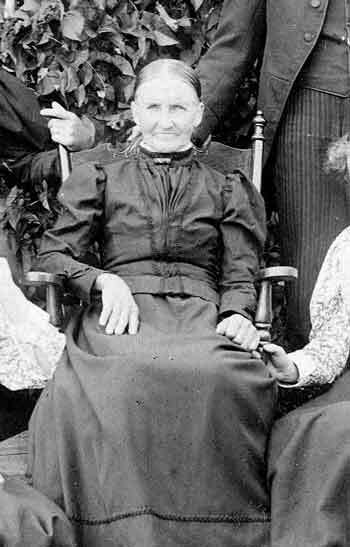 Susan Jacklin was the daughter of Richard Jacklin and Mary Ann Smith. 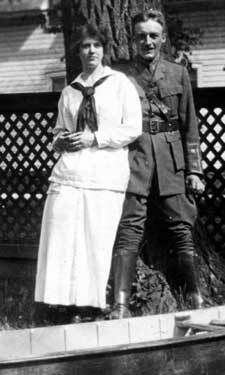 It is likely that Susan was part of the family who owned land on Jacklin Bay, on the Rideau, while the Gallaghers owned the land across the Rideau at Gallagher's Point - later owned by Cecil Gallagher. 068 01 212 GALLAGHER SUSANA F 34 ON WME EN SPOUSE M ILLIT. Married (1865-June 13, 1927) April 30, 1890 at Rideau Ferry, grave site Rideau Ferry Cemetery #79. They had six children: . The children are all buried in the States, primarily Ann Arbor and Ypsilante MI. 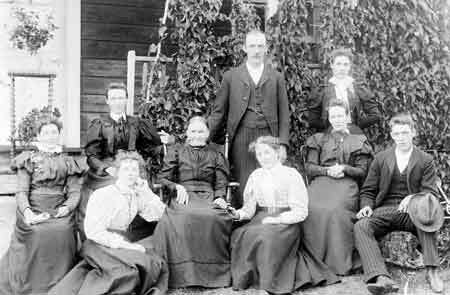 Perth Courier, May 9, 1890 - "Married, at the Presbyterian Manse, Oliver's Ferry on the afternoon of 30th April, by Rev. 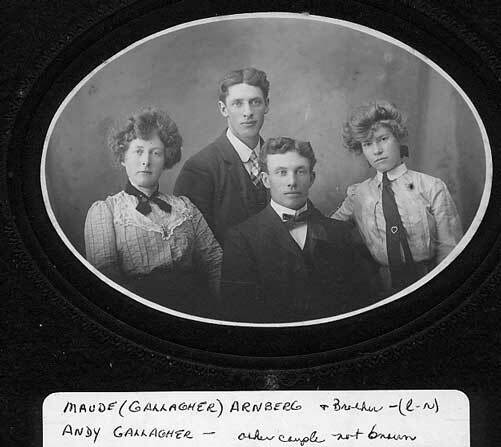 N. Campbell, B.A., Mr. John Grierson to Miss Mary Gallagher, all of North Burgess." Children: Allison Maude (Clements) 1901-1994 Rideau Ferry grave #79, Andy, Orville, Biffy, Margaret, May. Perth Courier, October 23, 1891 - "Married, at the Elmsley Manse on Wednesday, 14th, inst., by Rev. 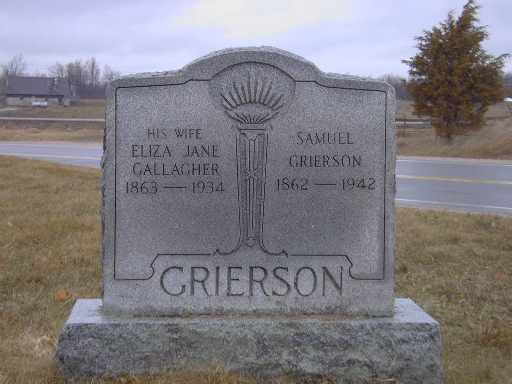 N. Campbell, B.A., Mr. Samuel Grierson to Miss Eliza Jane Gallagher, all of North Burgess." 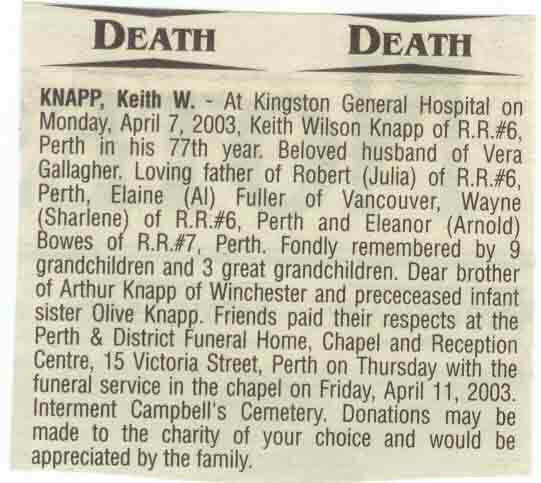 Perth Courier, April 26, 1889 - "Married on the 17th April by Rev. F.H. 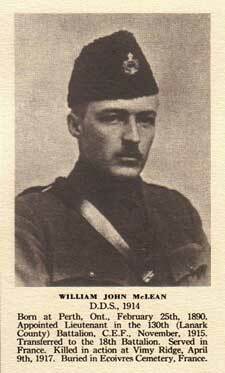 Sproule, at the residence of the bride's father, Mr. David McLean of Drummond to Miss Isabella Gallagher of Burgess." Perth Courier, Feb. 23, 1894 - "Gallagher-PalmerMarried, at the residence of the bride’s father, on the 21st Feb., by Rev. 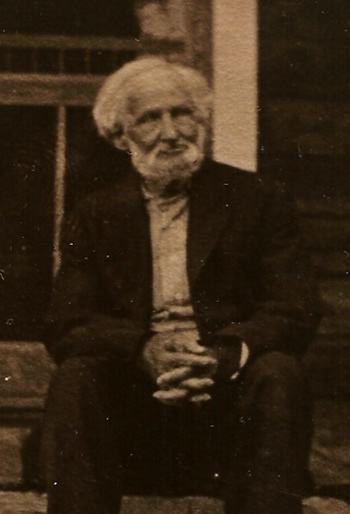 Dugald Currie, B.D., Mr. John Gallagher to Miss Mary Palmer, daughter of Mr. George Palmer, all of Burgess." 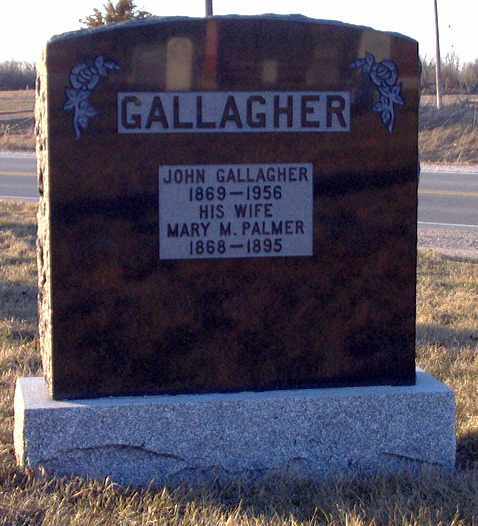 Perth Courier, Feb. 1, 1895 - "Gallagher—Died, at North Burgess on Friday, 25th Jan., Mary Palmer, wife of John Gallagher, aged 28(?) "
Mary died shortly after giving birth to son George. George then went on to live with a variety of relatives. 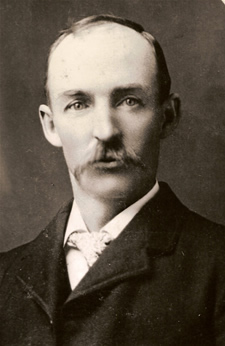 Perth Courier, June 25, 1897 – "Gallagher-Matthews—Married, at the residence of the bride’s parents, on Wednesday, June 16, by Rev. N.B. Topping, assisted by Rev. R.C.H. Sinclair, B.A., Mr. John Gallagher of Burgess to Miss Minnie Matthews, only daughter of Mr. John Matthews of North Elmsley." 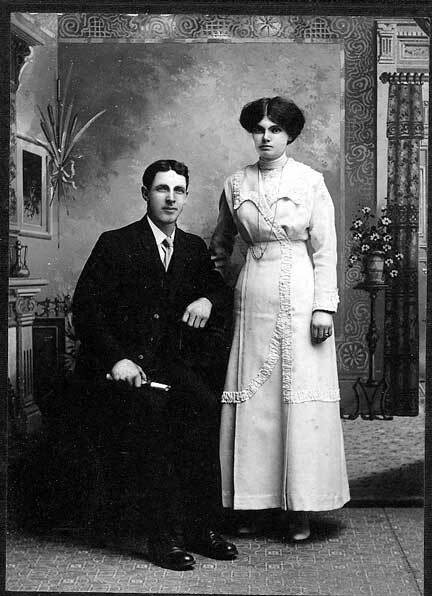 Married Edward Wilson. 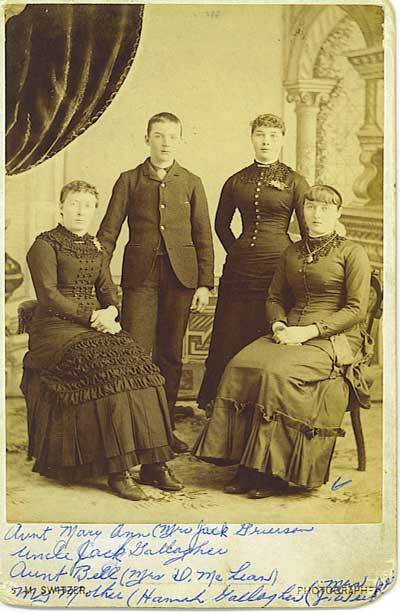 Children: Edna (Mrs. Spalding, later Mrs. Gordon Ferguson - twin daughters and a son, Douglas Spalding), Elva (Mrs. Ken Cameron). 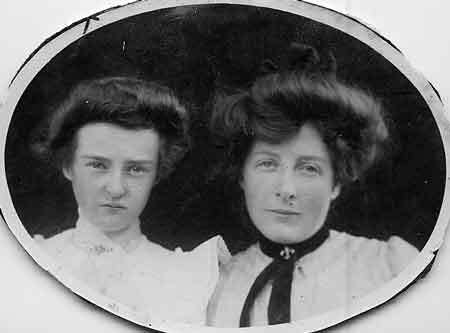 Married Annie Maude Barrie (1877-1960). 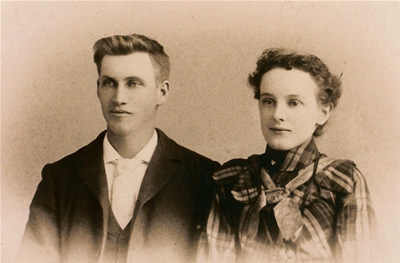 Perth Courier, July 1, 1898 - "Gallagher-Barrie—Married, on June 22, by Rev. R.C.H. Sinclair, B.A. at the manse, Oliver’s Ferry, Mr. William Gallagher of North Burgess to Miss Maud Barrie of Perth, daughter of Mr. George Barrie of Perth." Grave site Rideau Ferry Cemetery #44. 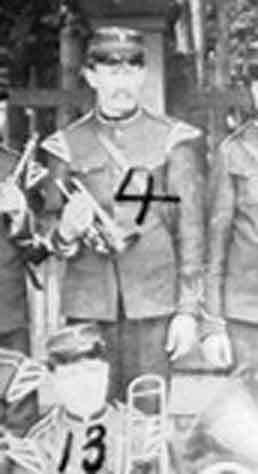 Perth Courier, January 11, 1945 - "Defense Headquarters, Ottawa, on Thursday of last week advised Mrs. Davis, Drummond Street east, that her only son, Gunner Kenneth Wilfred Davis, had died from injuries received in action on a date not yet available. The cause of death is reported as crushed chest and lacerations to the head but the particulars of how he received these injuries is not available. Born in Perth on December 18, 1919, a son of Mrs. Davis and the late Henry Davis. Mrs. Davis was the former Marion Gallagher of Elm Grove. He was educated at the public school and Collegiate. 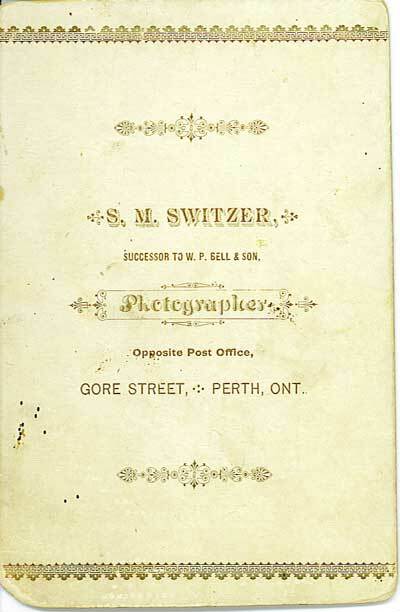 On leaving school, he was employed at the Perth Shoe Company. An outstanding athlete at school, he later developed a reputation in hockey as defense with the Blue Wings particularly in the 1938-39 season. Later he played with the Smith’s Falls Mic Macs." Married Alice G Bourns (1888-1959), grave site Rideau Ferry Cemetery #126. Family: Russell A. 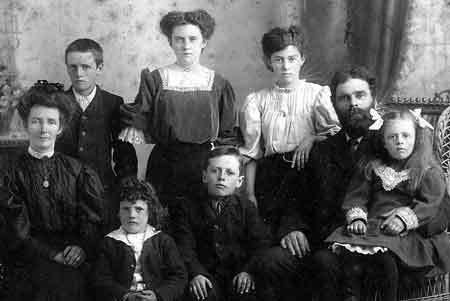 (c.1908-1914), Cecil (1916 - 2002) (married to Grace Simpkins (1923- ), children (Velma, Tom, Fred), Elden (c.1931-1982), Vera (1921- ) (married Keith Knapp 1927-2003). Andrew Gallagher Jr is #4. 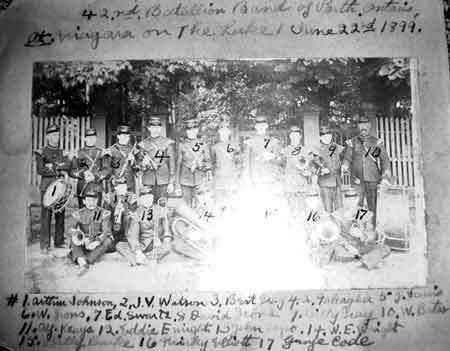 The 42nd band played frequently at events at Rideau Ferry. Andrew Gallagher Jr - enlarged from photo above.